Grimm Fan — New Themes at Grimm Fan! 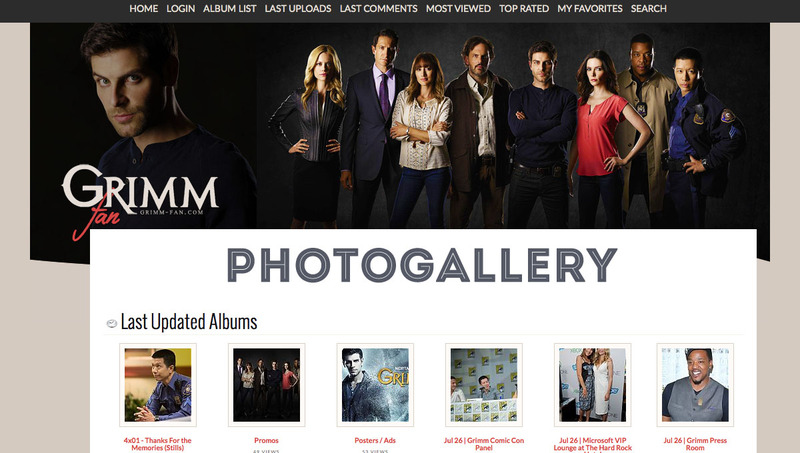 New Themes at Grimm Fan! In celebration of the season 4 premiere of Grimm next week, we have put up new themes here at the main site and the gallery! I hope everyone likes it as much as I do 🙂 Beautiful promos we have this season! This entry was posted by Courtney on Thursday, October 16th, 2014 at 10:06 PM. It is filed under Website. You can follow any responses to this entry through the Comments Feed. 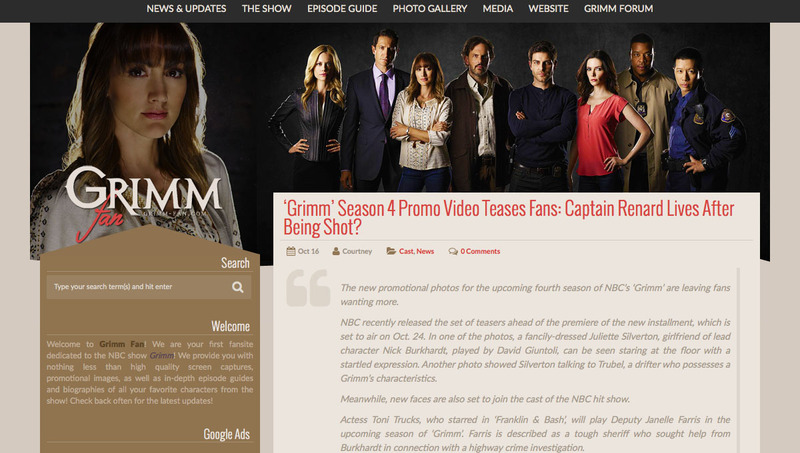 Home Website New Themes at Grimm Fan!